Directed by John Singleton. With Samuel L. Jackson, Vanessa Williams, Christian Bale, Jeffrey Wright. 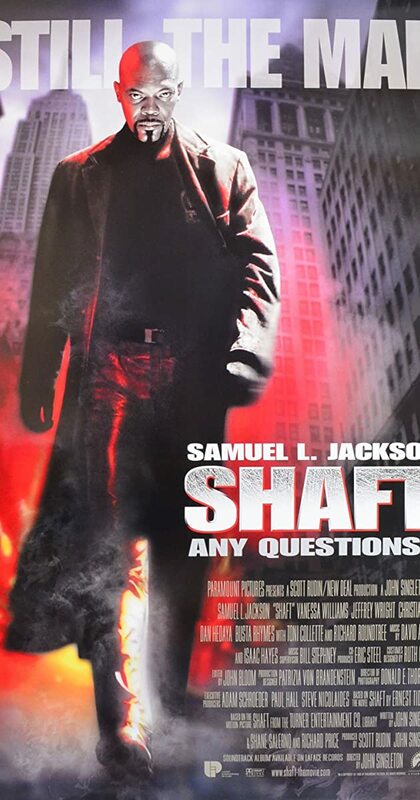 New York City police detective John Shaft (nephew of the original 1970s detective) goes on a personal mission to make sure the son of a real estate tycoon is brought to justice after a racially-motivated murder.